Home » Law Life » I’ve Been Upgraded! So, remember all those runs I went on? Where my iPhone kept loosing connection? And refusing to follow me on GPS so I knew my pace or distance? And I got really frustrated? Well it’s all over now because something arrived in the mail yesterday!!! 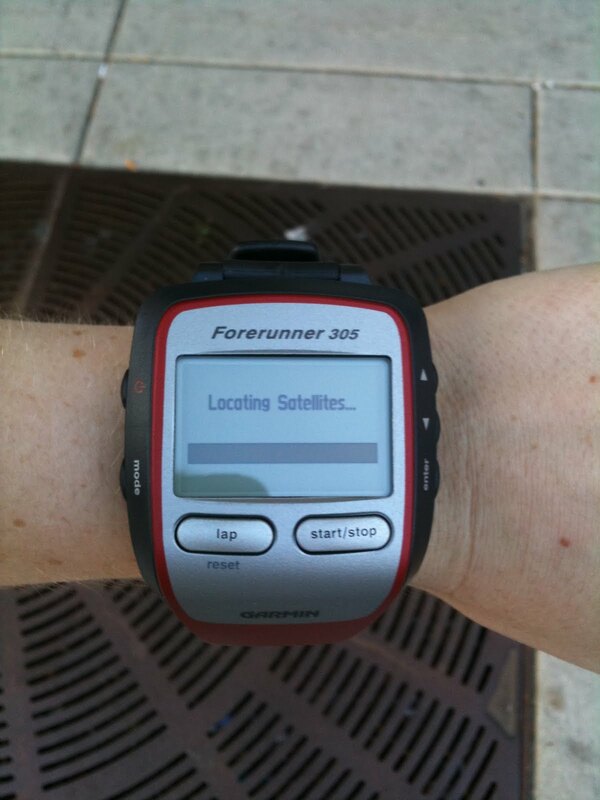 However, there was some serious irony in my first garmin run. I stood outside for 8 minutes waiting for it to find the satellite… SERIOUSLY??!?! At least it didn’t bail on me 5 minutes into the run! My run this morning was pretty brutal – I knew my legs were sore from strength training yesterday and they ended up feeling like lead the entire time, I just couldn’t get into a groove! The wind sure didn’t help either – I choose the lakefront and that was a bad idea. I was running straight into very strong wind for part of it, and had sand blowing all over me! I had to switch over to the park when I got a chance, but that threw me off because I wasn’t sure where I was going! Oh well, got in my 4 miles and not too bad of a pace! 4.01 miles in 35:27 for an 8:50 min/mile pace! When I got home it was time for a shower, getting ready for classes, and breakfast! In the mix: 1 cup frozen strawberries, 1/2 frozen banana, 1/2 cup almond milk, 1 tbsp chia seeds, 1 packet of truvia and 1 scoop strawberry protein powder. Yes, strawberry protein powder. I ran out of my vanilla and haven’t had a chance to get more. I’m actually not a fan of the strawberry, but I really wanted a smoothie today! could not get this image to turn sideways…. A couple weeks ago I wrote a post about diet trends and discussed how everyone has their own needs, and different things work best for different people. Recently, I’ve been adding more carbs into my diet, since both my nutritionist asked me to, and it’s necessary for running! Doing this got me thinking a lot about the gluten free “diet” that some people opt to do, even if they don’t have an allergy to wheat. I had never heard of the concept of being “gluten-free” until one of my very good friends started having a lot of digestive problems and eventually cut gluten out of her diet, finding that she had Celiac disease, meaning that her body was allergic to gluten, which is found in most wheat, barley and rye products. Whether it’s due to better diagnosis, or just a higher number of cases for other reasons, more and more people are discovering that they also have Celiac. This increase in Celiac has caused a greater need for gluten-free products and many food companies, as well as restaurants, have risen to the occasion. However, many people are now choosing to eat gluten-free because they believe it helps them to lose weight. As you all know, I believe that eating natural foods and foods that are best for your personal diet and lifestyle is the best way to go. However, I thought I would investigate this recent food trend to see if it’s really better for your health, and your waistline, to eat gluten-free when you don’t have to due to celiac. One article from Health.com looked at three claims made by those who choose to go gluten free. The first claim is that you may lose some weight by cutting out high-fat baked goods. However, this is due to cutting out calories and fat, not gluten. Also, there’s currently no science indicating that replacing gluten food with non-gluten food with the same calorie count will help with weight loss. Another claim is that by not eating grains with gluten, you will then eat more filling whole grains that don’t have gluten. However, some of those non-gluten whole grains actually have less fiber, so it depends on which grains you choose. The last claim is that people feel more energetic on a gluten free diet, however this may be due to the fact that they are cutting back on total food intake. The article found that while going gluten-free may give you a diet jump start, it’s not meant for long-term weight-loss. Another article from Huffington Post found that although going on a gluten-free diet may help people lose weight or feel healthier, it’s due to cutting out starching, processed foods or limiting carbohydrates, rather than having to do with avoiding gluten. Gluten-free is a must for those with celiac, but if you don’t have the disease then the diet is more of a trend, and not necessarily a weight loss tool. Going gluten-free is definitely not harmful if that’s the best choice for you, your lifestyle and your body, but the point of this article is that it isn’t a proven weight loss method. So if that’s your only reason for going gluten free, you might want to find another weight-loss avenue! 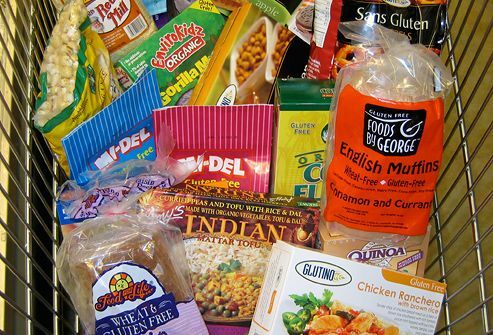 What are your feelings on a gluten-free diet? Have you had any positive experiences with cutting out gluten?